All 7 issues 2016 of spielbox inclusive add-ons (English language). All 7 issues 2015 of spielbox inclusive add-ons (English language). All 7 issues 2014 of spielbox inclusive add-ons (English language). 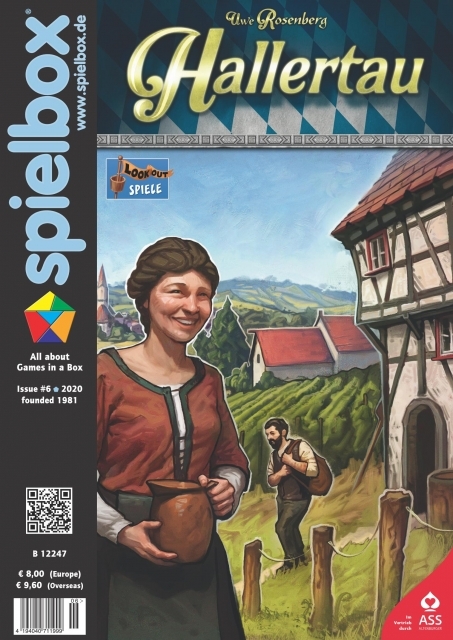 Reviews: Russion Railroads, Rokoko, Viticulture, etc; 2nd part of the novelties from SPIEL '13 - Part 2, 10 years Steffen Spiele and much more. New bonus card to Terra Mystica (winner of Deutscher Spielepreis 2013) by Feuerland Spiele. 6 issues 2010 of spielbox incl. add-ons (English language). Issue no. 6/2010 is sold out - therefore this annual volume is cheaper. This Product was added to our catalogue on Friday 30 March, 2012.